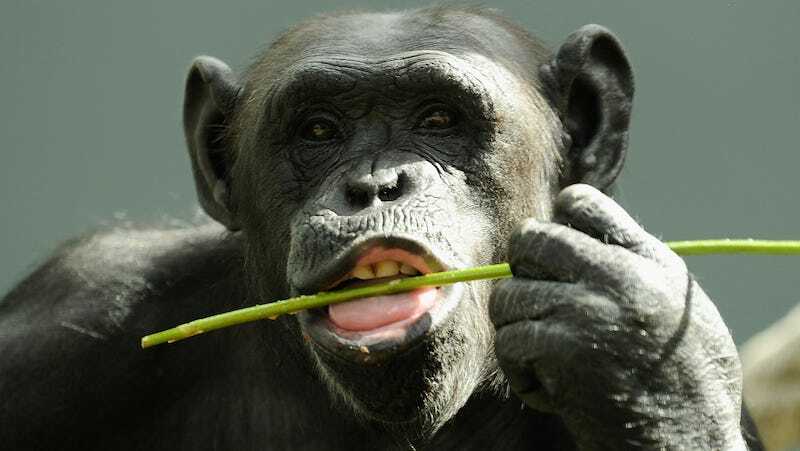 On Wednesday, the National Institutes of Health announced it would finally send the remaining research chimpanzees into retirement as soon as room opens up in a federal sanctuary. This announcement comes more than two years after the NIH announced its plan to do so. The NIH initially planned to retain a colony of 50 chimpanzees in case of some sort of research emergency, but in an email to agency administrators, NIH director Francis Collins announced that those remaining chimps would also be phased out. As of early 2012, the NIH owned and supported the care of 670 chimpanzees—310 at Chimp Haven, a federal sanctuary just outside Shrevesport, Louisiana, and 360 in research laboratories, making the United States’s research chimp population the largest in the world. (Gabon is the only other country that still allows chimps to be used in research.) Since the NIH’s 2013 announcement, the main struggle has been figuring out where to retire the chimps. That June, the U.S. Fish and Wildlife Service classified research chimps specifically as an endangered species, meaning that any research performed on them would have to benefit wild chimpanzees—not just humans—in order to be approved. But some research scientists remain uncomfortable phasing out chimps, and fear that certain medical advancements might be impossible without them. “I think this is the natural next step of what has been a very thoughtful five-year process of trying to come to terms with the benefits and risks of trying to perform research with these very special animals,” said Collins in an interview with Nature. Hungry for more info? Reach out to your girl for an riveting, unpublished, 8,000-word journalism thesis on the topic.